On the 1st of May 2004 Poland joined the EU. 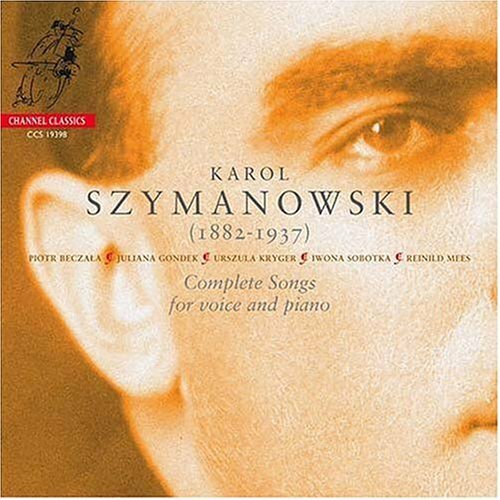 On this occasion we thought it would be time to bring out Poland's great composer Karol Szymanowski’s Complete Songs. Never recorded before, this unique box of 4 CD’s contains a real treasure of ravishing songs. In a co-production with the Dutch label Channel Classics Records we have engaged three of the best Polish singers of our time, tenor Piotr Beczala, mezzosoprano Urszula Kryger and soprano Iwona Sobotka, joined by Juliana Gondek, American soprano of Polish descent. Accompanied by the Dutch pianist Reinild Mees, they will convince the listener of the high quality of this rarely heard song repertoire.